Key Difference: Economic growth refers to a capacity of a produce goods and services, compared from one period of time to another. Economic development, on the other hand, It refers to the process by which a nation improves the economic, political, and social well-being of its people. Economic Growth and Economic Development are two very important concepts. Both are indicators of the health of the economy. They indicate how well or how bad an economy is doing. Many economists take both economic growth and economic development into consideration when making policy or even advising businesses. However, many people do not realize that economic growth and economic development are two completely different things. Many people incorrectly assume that they are the same or at the least very similar. This confusion arises from the fact that these terms are often used together. In fact, some people incorrectly also use the term interchangeably, though this cannot be further from the truth. 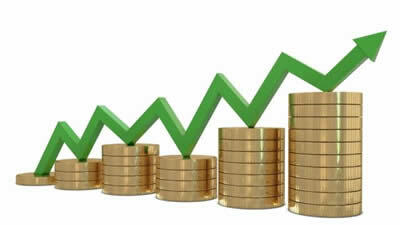 Economic growth refers to a capacity of a produce goods and services, compared from one period of time to another. Simply put, it compares how many goods and services does an economy produces or is estimated to produce. This number is then compared to other time periods to see whether or not the economy is producing more. If the economy is producing more now than it did before then it is a healthy economy, and if the economy is expected to produce more in the future, then the economy is considered to be growing. Economic development, on the other hand, is something else. It refers to the process by which a nation improves the economic, political, and social well-being of its people. It is a policy intervention endeavor which seeks to ensure that all economic, political, and social endeavors are working to improve the quality of life for their citizens. Hence, the talk of economic development often arises when discussing the environment and environmental issues. Economic growth is just one of the aspects of the process of economic development. While economic growth corresponds to market productivity and rise in GDP, economic development, on the other hand, deals with the economic and social well-being of people. Economic growth is the increase in the inflation-adjusted market value of the goods and services produced by an economy over time. Increase in real national income / national output. Improvement in quality of life and living standards, e.g. measures of literacy, life-expectancy and health care. Quantitative. Increases in real GDP. Qualitative. Human Development Index (HDI), Gender- Related Index (GDI), Human Poverty Index (HPI), Infant Mortality, Literacy Rate etc.